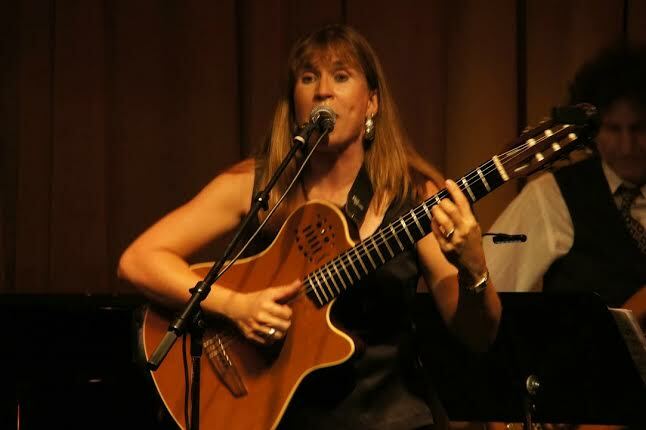 Live Brazilian Music: Teka at Vibrato Grill Jazz…etc. Bel Air, CA. Teka Penteriche’s performance at Vibrato last Sunday night had the approval of everyone in the crowd, including veteran crooner Tom Jones. Teka is sensational. Her set list offered a wide variety of Brazilian jazz with songs sung in both Portuguese and English. Teka’s arrangements and adaptations are uniquely her own and her voice and the band synced up the way every band hopes for. Highlights of the evening included her renditions of Antonio Carlos Jobim’s classics — including a beautifully done version of “Aguas de Marco” and the song that the audience seemed to appreciate the most “Summer Samba” the crowning achievement of Brazilian composer Marcos Valle. 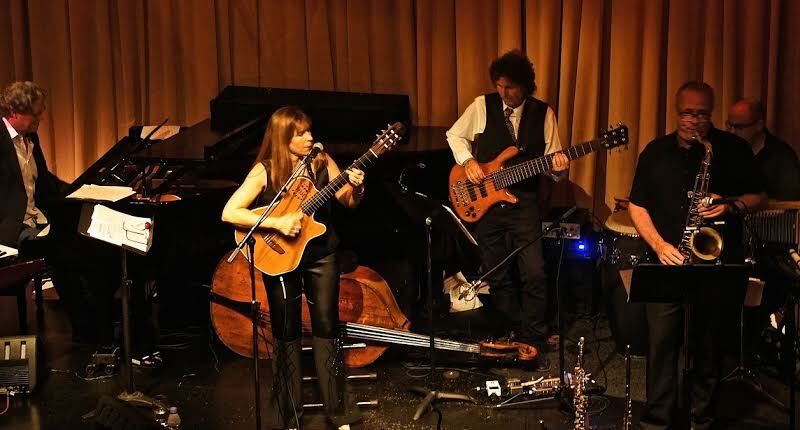 She was backed superbly by her New Bossa band – saxophonist/flutist Doug Webb, pianist Tom Zink, bassist Randy Tico and percussionist Kevin Winard. Teka and her husband Paris had to make quite the trip down from Santa Barbara but it was a trip well taken as the audience was ready for more, even at the conclusion of her second and final set. Many audience members purchased a CD from Teka’s collection of albums as they left the club – a solid indication that her performance was a hit! Photos by James M. DeFrances.